The Square 1 Group crew and I just finished launching the new Pauly Shore website and I thought I’d share it with you guys. 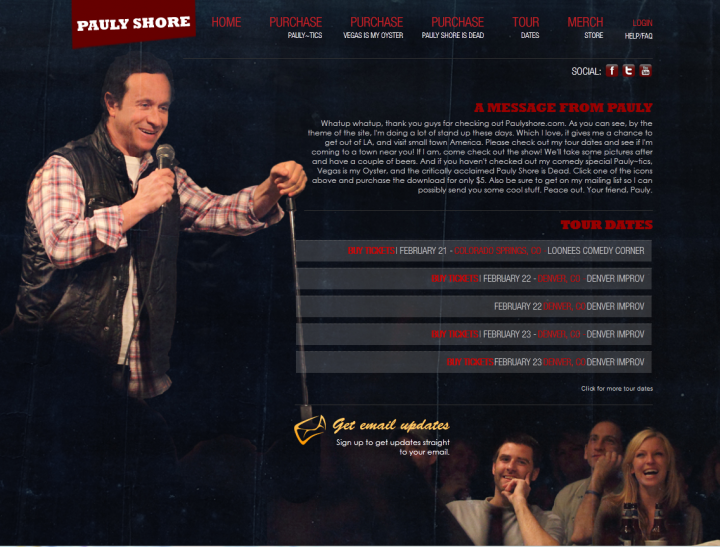 The site features a brand new layout, different portals to purchase Pauly’s Pauly~Tics, Vegas Is My Oyster, and Pauly Shore Is Dead movies along with a new iterative tour date widget/page where you can be sent to purchase tickets for an up and coming show near you. I really hope you enjoy the design, we’ve been hard at working with Pauly for the past month tweeking the design and UI to his liking. 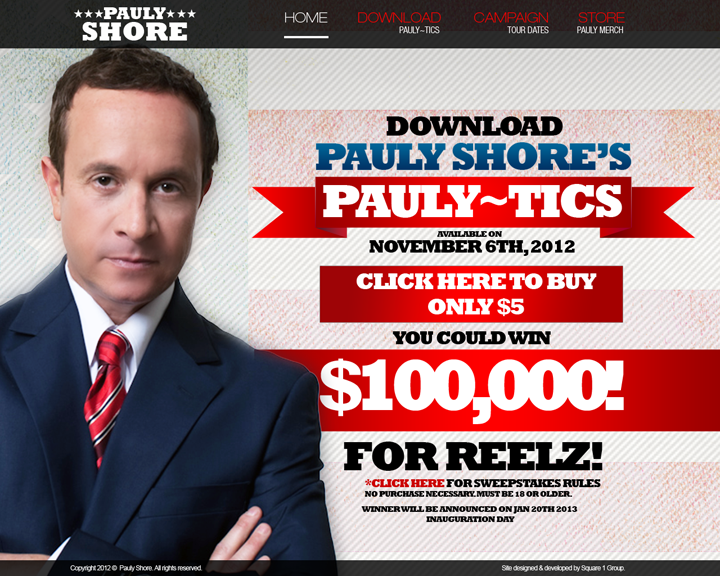 A few images of his site are below but click to his site, PaulyShore.com for the entire interactive experience. 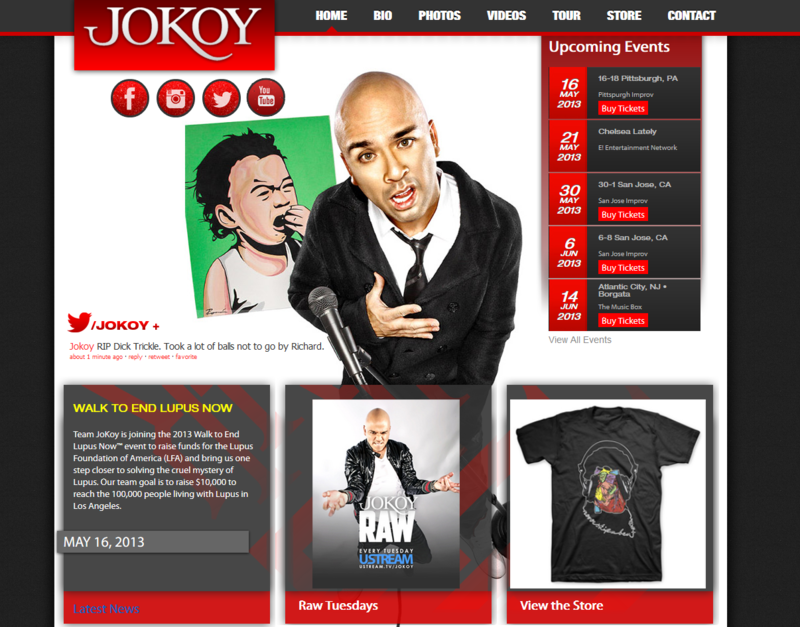 Jo Koy‘s site is up to bat next for a 2013 revamp so stay tuned! 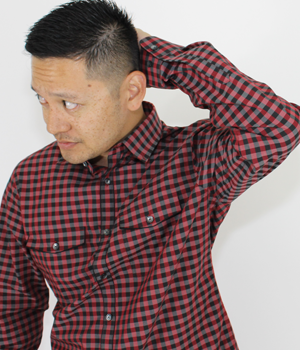 BTW, if you need help or know anyone that needs a site design or online marketing help, ping me. 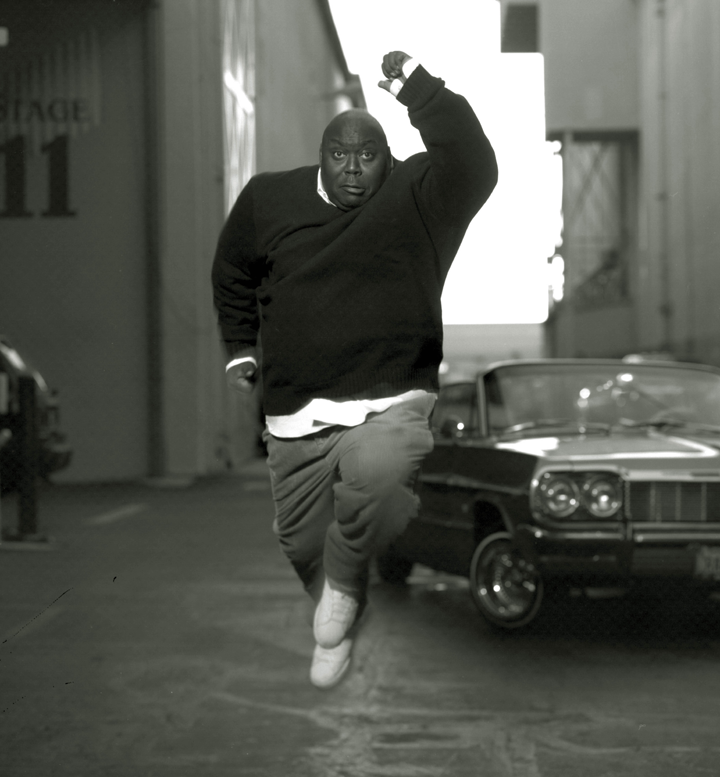 You all know how to reach me!